Sitting at the juncture of the Meuse and Sambre rivers, Namur is the capital city of Wallonia, one of the three regions of Belgium. 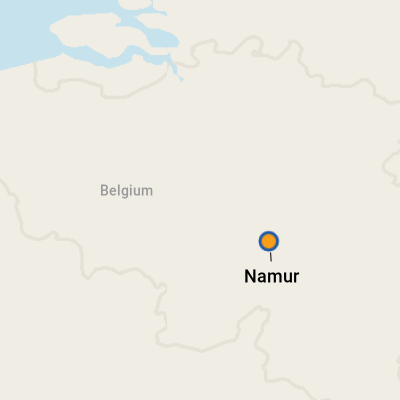 While its port has long been important to the area, Namur is only now being included in cruise itineraries. The city is home to 110,000 people yet still has a small town feel with its walkable, cobblestoned streets and very few chain restaurants or stores. "Charming" and "intimate" are two words often used to describe this French-speaking enclave 45 miles from Brussels. With the exception of its Citadelle, which sits on a rocky overlook above the city, Namur is easy to navigate on foot. This place has history, beginning as a trading camp during Celtic times. The Romans also setup shop here. The area really came into its own, though, during the early Middle Ages, when its Citadelle was built. 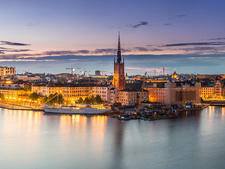 The city is well-known for its natural and manmade beauty, its rolling hills and flowing waterways as well as its traditional architecture and cobblestoned streets. 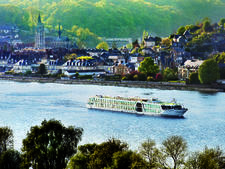 Avalon Waterways is currently the only cruise line offering Meuse River tours that stop at Namur. The heart of the old city is within blocks of where passengers disembark. 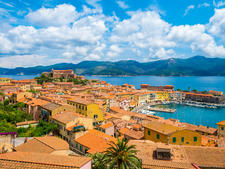 In addition to stores that meet a traveler's practical needs -- including currency exchanges and health stores -- visitors will also find independent coffee houses and restaurants, chic boutiques and specialty shops offering local delicacies. There's only one place in the city where long ships can dock. It is officially called Quai des Joghiers, but not many people know it by this name. If lost, ask locals to point you toward the point where the Meuse meets Boulevard Isabelle Brunel. There is no formal port building where passengers disembark. Instead, passengers walk out onto a pedestrian walkway along the river, which is popular with locals, especially younger ones. There are multiple sets of steps and passageways so passengers can move from the walkway into the city center, which is five minutes away on foot. There is no formal port facility. All services -- businesses that change money, style hair and sell aspirins and other health products -- can be found within a 10-minute walk. The tourism office on Rue de Fer has public bathroom facilities. While traversing the city, walkers should be on the lookout for the gold seashell decoration that occasionally pops up amid the cobblestones. These mark one of the routes of Camino de Santiago (also known as The Way of St. James or simply The Way) that pilgrims take on their journey to the shrine of St. James in Galicia, northwestern Spain. Want to play another fun game of "I Spy" in Namur? Look for snail imagery. The snail is the city's symbol. Folks say it invites them to move more slowly and enjoy life. Still, it's not a sacred animal: you'll also see diners enjoying "les petits gris" in creamy garlic sauce. On Foot: This is the best way to enjoy Namur. It's a small city, very walkable, with even crosstown treks taking only 20 minutes or so. Much of the town center -- including the old city and the commercial area -- is pedestrianized. By Tram: Tourists can opt to reach the top of Citadelle via "Citad'In" shuttle service. The 25-minute ride leaves from the city center. Tickets are EUR5 for those under 18, seniors and teacher, EUR5 for those 18 plus. Children under 6 years old are free. By Taxi: Taxis can be found around the train station at Place de la Station. The official currency is the euro. Currency can be exchanged at Goffin Change at Rue Rogier, 28 and a Western Union at Rue Rogier, 29. The latter also has an ATM. For currency conversion figures, visit www.xe.com. The official language is French, but English is widely spoken, too. If it's not raining, any of the outdoor cafes around the bustling Place du Marche aux Legumes are good for a leisurely meal and people watching. (For more details, see above.) The city's proximity to the forested Ardennes means cured meats are a specialty here. Try the jambon d'Ardennes or pheasant a la Brabanconne. (The Brabanconne is also the name of the Belgium national anthem.) Note that many restaurants are closed on Sundays, which can sometimes present a challenge. Check ahead before visiting. Take home a taste of Namur, be it in chocolate, cheese or candy form. Maison Saint-Aubain (Rue de l'Ange 11) is a popular cheese shop selling many local products, including Floreffe, a triple cream cheese made with whole milk and infused with cr?me fraiche, and multiple varieties of Trappist cheeses made with beer. La Maison des Desserts, Rue Haute Marcelle 17, sells the caramels called "Les Bietrume de Namur" and small bags of macarons. Caves de Wallonie-Cote Terroir (Rue de la Halle 6) also offers locally made products, including foie gras and 350 different Belgium beers. There are multiple chocolate options available, of course. Internationally known chocolatier Jean Galler has a boutique at Rue de l'Ange 13. Galler, a native of nearby Liege, grew up in a pastry-making family and began crafting his own chocolate in 1976. Both of these passions meet in gaufres, waffles stuffed with either pralines, dark chocolate or white chocolate raspberry filling. These are warmed and sold through a front window or in-store, wrapped in paper that's not big enough to wipe away all of the sugary goodness that drips down your chin. Sample one on-site before making any buying decisions. This is Belgium, so beer is the way to go. Blanche de Namur is a witbier or "white beer," a Belgian-style ale that is unfiltered and made with a high level of wheat. It's brewed in the nearby village of Purnode and sold at most bars and restaurants. Or consider trying the local La Houppe, a Belgium strong pale ale with a high alcohol content: 7.5%. (The bottle shows two stilt walkers fighting.) It's available at multiple locations, including Chateau de Namur, Avenue de l'Ermitage 1; La Cuve a Biere, Rue des brasseurs; and Le Prince Baudouin, Rue de Marchovelette 15.